-Wide Range of Current Ratings : 25A, 40A and 63A . -Conforms to IEC/EN 61095, IEC/EN 60947-4-1, IEC 60947-5-1 . -Available In : 1NO, 2NO, 3NO, 4NO and 2NO+2NC Version . -Protection Degree IP 20 . Range 32A to 800A,415V, AC 23ATPN and 4P versionsSuitable For Cylindrical /DIN Fuse-linkTelescopic s.. 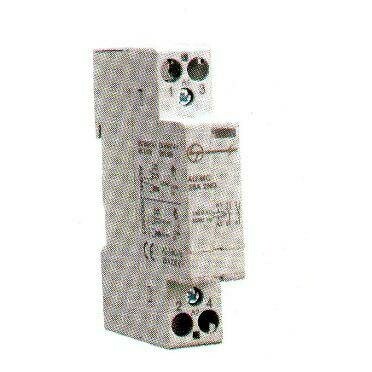 Features :-RCCBs ( Residual Current Circuit Breakers ) : Type- Adi ( With Added Immunity )-Wide Rang..
-Conforms to IEC 61009-1, IS 12640-2, EN 61009-1 .-Available In Type AC - For Standard Installations..